In Past Tense is our series of articles in which GSMArena veterans take you on a nostalgia-infused ride through the years. Hi, I'm Paul, the veteran here at GSMArena Towers and my journey takes us on a slightly longer track when compared to previous installments in this series. Before owning my first mobile phone I had access to one through the UK company I worked for, and I've racked my brains, but for the life of me, I can't remember what make or model it was. What I do remember though is pranking my friends, I used to call them up while stood outside their house, pretending I was at home and then ringing their doorbell seconds after hanging up. Remember, this was in the late'80s when no-one had a mobile phone or YouTube - guess you had to be there. To assist me in writing this article I jotted down all the phones I've previously owned to help map out my journey, so I'll take the opportunity to share an abridged version with you. It would be several years before I felt that I needed to own a mobile phone. 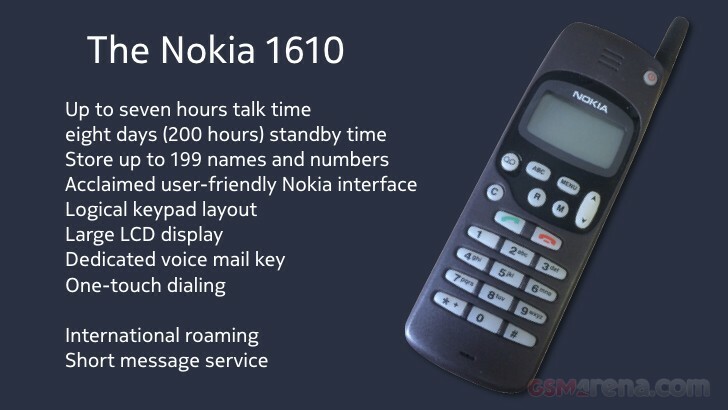 In 1996, Nokia launched the Nokia 1610 (too old even for the GSMArena Database - come on guys), its second consumer-focused mobile phone after the Nokia 2010, and that's what I purchased. The decision-making process? Well there wasn't one. I needed a phone and the Nokia made calls which was its 'killer app'. That was available in one color only, so that was that. No different to buying numerous other 'white' goods - pretty damn straightforward and now I was the proud owner of a stylish and cutting-edge mobile. The surprise feature was the short message service (SMS) which I tried to use, but it was a one-way conversation due to several limitations. Initially, you could only send messages to other users on the same network; not all phones supported SMS - Nokia was one of the first; and typing out a message was painful as predictive text would come later. Fun fact - in 1995 users would average 0.4 messages per GSM customer per month! Mobile phones were on the cusp of becoming fashion items at this juncture, but they were not quite there yet. And as they didn't have the mass of functionality that we've come to expect today, my selection criteria over the next few years were simple - to get the size and weight down. Within reason, as I'm a pretty brand loyal guy, and so my following few phones were all Nokias. In the late 1990's Nokia pushed the mobile phone as fashion items, striving to make the 'ugly' external antenna a thing of the past and offering Xpress-on covers to change the color of the phone. Such was their conviction, Nokia collaborated with the Kenzo fashion house on the Nokia 8210 which launched during the Paris Fashion week in '99. Pitched as a 'cool' consumer phone at the premium price of £250 and at 79 g (2.79 oz), the lightest in the Nokia range, it was perfect for me. Of course, given the size, there was the expected trade off on battery life offering circa 60% that of the Nokia 3310. With predictive text, suddenly composing an SMS became much more convenient and I remember particularly liking the ability to quickly switch between profiles to put the phone on vibrate when in meetings or make the ringer louder when in a bar. At the time I purchased the Nokia 8210 I was using Palm's Personal Digital Assistants (PDA's) for holding my personal information. My one overriding thought at the time was 'I wish my Palm would ring' - I didn't want to carry two devices around with me. 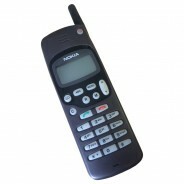 In 2000 I was issued with the obligatory Nokia 6210 through work. You would go into a management meeting, and everyone would take out their mobiles - all Nokia 6210's - and place them on the table. Oh, the corporate life. The company even installed a cradle car kit in my car. As this cradle only fitted the Nokia 6210 and its future siblings, I was tied in and upgraded to the Nokia 6310 followed by the Nokia 6310i. While not exciting or fashionable phones, they were bullet-proof and survived constant drops. 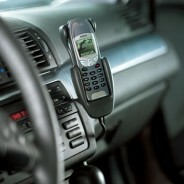 During this time though I was still using the Nokia 8210 as my personal driver. During this particular upgrade cycle Bluetooth appeared on the scene and I began experimenting with trying to sync devices via that. Yet, in the early days of Bluetooth, manufacturers had problems in making their devices compatible with one another, leaving me very frustrated. In 2002 I thought I'd solved my problem of having one device when Sony Ericsson launched the pioneering P800. It adopted a cunning solution by combing a resistive touchscreen that was half covered with a flip-down keypad. When the keypad was up, the keys would press on the screen to operate in a more conventional feature phone manner. Flip the keypad down, and you had the whole 2.9" color screen to interact with. While this may have been the peak of technology back then, and I know many people have fond memories of this device - for me, it simply didn't work. It was a combination of many things, it just wasn't intuitive, and due to the nature of the resistive touchscreen, it took an effort to use. When the keypad was over the screen you had to press harder for a keypress to register so in 'feature phone' mode it frustrated. Compared to the PDA's that I was using at this time, it felt too compromised. I endured it for a week and then sent it back. 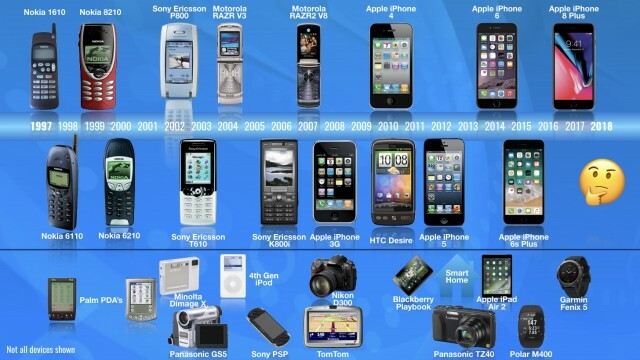 Looking back though, we mustn't lose sight of the influence that devices like that had on the tech landscape. Then in 2003, our son was born, and with him came every parent's overriding desire to photograph and video every waking, and sleeping moment of his existence. So we could make the most of this digital existence we jumped ship back to Apple Macs, specifically the newly announced 17" sunflower iMac and a 17" PowerBook. 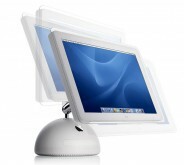 I mention the Macs because they largely influenced how I would pick my phones moving forward. Apple OS X (that's what macOS was known as back then) had a built-in syncing service/utility called, you guessed it, iSync. Enabling the syncing of data across multiple devices, while not without its issues, quickly improved over time further cementing the Mac as our digital hub. Next up, the Sony Ericsson T610, which was for me the spiritual successor to my Nokia 8210. Near identical in height and width and only 1.6 millimeters thicker. Apart from the short-lived P800, this was my first long-term phone with a color screen. This was also the first phone that I used to access the internet via WAP and Email. While usable, the speed limitations ensured that I rarely used these except in circumstances where the phone was the only device I had, even then I can remember often giving up halfway through. Importantly, it synced flawlessly with the Mac via iSync as mentioned earlier. I also used a utility from Salling Software called Salling Clicker, which allowed me to control our Macs from the phone. I used it to control both my laptop for Keynote/PowerPoint presentations and when at home with iTunes that held our entire music collection on the iMac that I'd plumbed into the ceiling mounted speakers around the house. Up to this point, my phone selection was based purely on cold specs, no phones up to this point had elicited an emotional response. That was about to change. 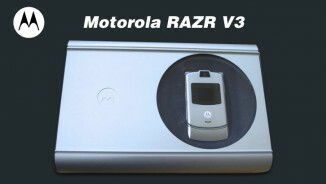 Motorola announced the RAZR V3 and wowed me. Quoting Wayne's World - 'It will be mine. Oh yes. 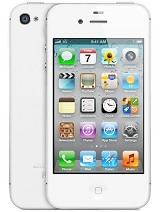 It will be mine.' 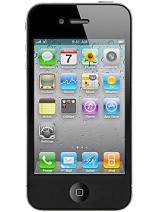 This was the first phone that I'd buy off contract at £500, I wanted, no, needed it that much. The use of aircraft grade aluminum felt great, immediately making this stand out from the crowd and when opened the backlit keys combined with the 2.2" TFT screen made this feel like a phone from the future. 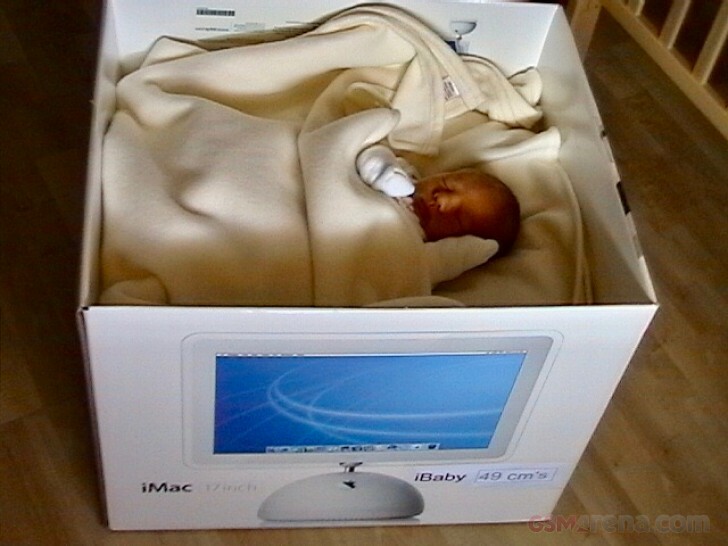 It became a sure thing once I discovered that it would fit right into my Apple eco-system. I connected the RAZR to the Mac via Bluetooth, and everything was squirted down. Also, the launch models came in an aluminum presentation box with a leather case and all the accessories you could ask for. Being honest, the user interface was poor, but I endured for those looks alone. When I made the switch to digital photography, I adopted the Minolta Dimage X. Like the RAZR it was clad in aluminum and featured an internal telescopic lens in a periscope arrangement, very cool and very small. This was, in addition, the Panasonic GS5 camcorder that we used for video. Therefore when the Minolta Dimage Xt came along, I immediately upgraded, giving me a whole 3.2 megapixels to play within the same compact body. I mention the cameras since when in 2006 Sony Ericcson launched the K800i with a 3.15 megapixel camera I immediately went out and purchased one, one less thing to carry around on family trips. While I tried to use the K800i as my daily driver, I wasn't that happy with the size or the picture quality when compared to the Dimage Xt, and so I often found myself swapping my SIM card back into the RAZR. Sticking with my preferred small phone size and flip phone format, I then purchased the RAZR2 V8. Yes, the camera was not good, but at this point, my digital camera was a Fuji Finepix F40d, and no phone came even close. 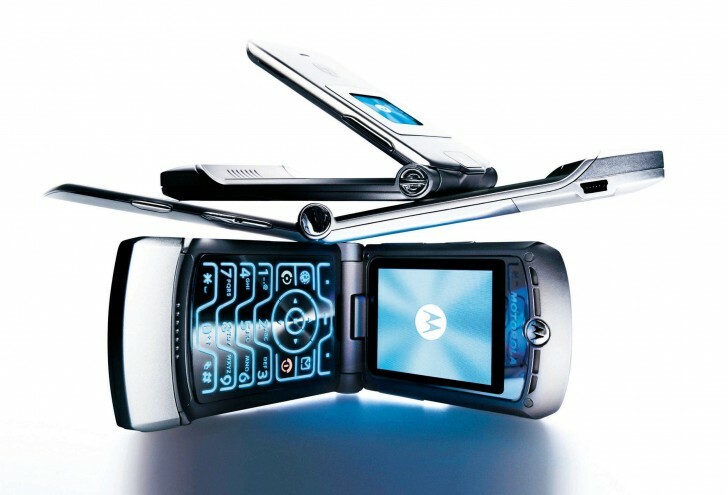 For me, the milestone with the RAZR2 was that I could play, albeit a small selection of, music on it. It didn't sound as good as my 4th Generation iPod at the time but nonetheless it meant that I left my iPod at home on more occasions. Being the Apple fanboy I was, in 2007 at Macworld when Steve Jobs introduced the iPhone, I knew that at one point I would own one, but not this one. The 2 megapixel camera certainly didn't impress, iOS (it wasn't called that originally) while accomplished, lacked several key features (for example MMS) and the lack of 3G was a dealbreaker for me. However, I did get a significant amount of hands-on experience with the first generation iPhone as my wife purchased one immediately for her business. And while all the above integrated perfectly with the Mac I still longed for the day when the humble phone would consign some of these items to the history books. Hence, I found myself queuing outside an O2 store waiting to pick up a 16GB iPhone 3G that I'd reserved, with that same excitement that I felt when I purchased the first Motorola RAZR. Yes, the design was 'muted' with its black plastic back when compared to my wives original aluminum-clad iPhone, but non the less it was a joy to use as it got so much right. Literally, overnight, I was using my iPod and PSP significantly less as I could now have a meaningful amount of my music and media on the one device. Visual Voicemail was a game changer, and I'm still surprised that all carriers didn't invested to support it - a sign that 'making calls' seems to no longer be the killer feature it once was. The same can be applied to VoLTE, Wi-Fi calling and more recently Voicemail transcription services. And so somewhat predictably, I plunged further into the Apple eco-system (From iTools in 2003 through to iCloud today) and future iDevices. I had managed through luck to get a phone tariff with unlimited everything at a great price. So from that point onwards I would buy my iPhones outright, cascade my old one to my son and sell his - and so the cycle went. As I enjoy consuming media, the last thing I wanted was white bezels to detract from the overall experiences (personal thing and maybe one for a Sunday Debate). For me, bezels should blend in and not stand out, hence why every iPhone I've ever purchased was either space gray or black. Career wise, I designed and manufactured interactive touchscreen systems and digital signage. With the advent of the iPhone and the subsequent release of Android, both Apple and Google were, in effect, training users how to use touchscreens. Hence I had to ensure that we didn't go against what the populace was becoming accustomed to and where possible stand on their shoulders. To aid in my understanding, this resulted in me purchasing my first Android phone in 2010 - the original HTC Desire. The HTC Desire's build quality was left wanting when compared to the iPhone 4's glass and metal construction, but for a predominantly plastic construction, it still impressed. 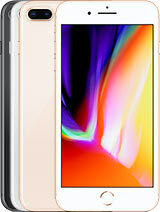 You could expand its storage via microSD cards (still grates me that Apple charges so much for storage) and its screen quality with its AMOLED display, even with its lower pixel count, was mightily impressive even compared to the iPhone 4's Retina Display. Android was a refreshing alternative to iOS with its home screen widgets and more open/flexible approach. Jumping ahead, by the time I had the iPhone 5s in my hands, I had attuned myself to Apple's tick-tock design cycle. An entirely new design every two years with what amounted to an internal upgrade in between. 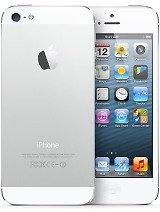 That was about to change though with the introduction of the iPhone 6. I had to choose what size phone I wanted, the iPhone 6 or iPhone 6 Plus. It was a considered choice. I'm not a small guy but the larger screened devices at the time seemed, well, just too big. Carrying a larger phone around in a suit jacket pocket also didn't appeal. 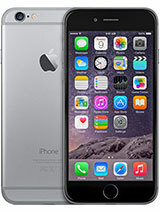 Technically, the larger iPhone 6 Plus had Optical Image Stabilization and a more significant battery. 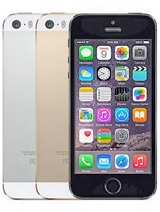 I played it safe and went with the iPhone 6 and didn't regret it. The iPhone 6 also introduced Apple Pay. While it took a while to get fully supported by my UK bank, once available I quickly adapted to not having to take my wallet with me everywhere - especially in coffeshops and bars. When the iPhone 6s and iPhone 6s Plus were announced I found that I had to use reading glasses more often than not so the larger screen appealed, and the iPhone 6s Plus it was. I skipped the iPhone 7 completely. Nothing new design wise and the performance of the iPhone 6s Plus (CPU throttling aside) was good enough. When at home, 99% of the time I use an iPad. Everyone assumed that when the iPhone X came out, I'd hop aboard. I've covered some of my reasons here, but suffice to say it's not for me. The money I saved not going with the iPhone X went towards upgrading to a 256GB iPhone 8 Plus and being honest, if it wasn't for work, I may well have stuck with my iPhone 6s Plus (with £29 battery replacement) running iOS 11 for a while longer. Throughout the years I've procured numerous phones for very specific niche reasons without caring what eco-system they operate in. There was a time when every weekend I'd be out in the great outdoors, and I wanted a more rugged phone - step up the new at the time Nokia 5100. Other times, I would use a more cost-effective phone for use in the gym to log my workouts, early Motorola G & E series. Looking back, not only has the smartphone consolidated many of those consumer electronic devices that I used to lug around but it has enabled so much more. I currently wear a Garmin Fenix 5 watch which is made all the more accessible and configurable through my smartphone. I can stream music either via Bluetooth or AirPlay to various speakers in every room in the house and automate my home. All cost-effectively and simplistically. So there you have it, an abridged version of my phone history. In the last ten years, purchasing iPhones was a given, plus it helped that I was getting a reliable OS combined with great hardware and design. I don't feel that will be the case for my next phone though. iOS is no longer the shining light it once was (iOS 11 has underwhelmed) and we're awash with phones manufactured to the same quality as iDevices, with many even exceeding them. The only thing that stops me 'switching' to my two preferred Android phones, the Samsung Galaxy S9+ or Pixel 2 XL, is my aforementioned tie-in to Apple's services and eco-system. We have an Apple Music Family Plan and the last time I checked, Apple Music on Android was poor - intentionally perhaps? We use 'Find My Friends' exhaustively, and while my iTunes movie purchases are predominantly watched via the Apple TV, I'd no longer be able to view them on my phone. While sharing photos and other stuff between us is made accessible via airdrop and sharing Apple photo albums. 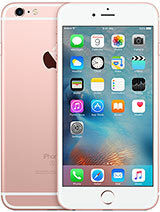 So for the here and now, Apple it is and I'm reserving judgment until the 2018 iPhones are announced. In the background, I'll be devoting more time looking into workarounds for the above and convincing the rest of the family to use them, just in time for Andy Rubin to launch the Essential 2 perhaps. 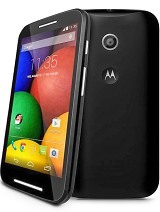 Mobiles newer has been to me for just talking more like expensive toy who breaks fast. Now even keeping active sim card is expensive.